Steven Universe is one of the four Crystal Gems that fight to keep the world safe from evil. Except in this case, Steven kind of screwed the pooch, accidentally unleashing a huge monster that threatens the exact planet he's trying to keep safe. 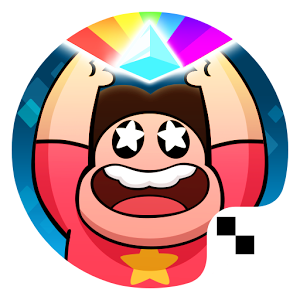 So now, in a new mobile game available on Google Play, he and the other three Gems (Amethyst, Garnet, and Pearl―but you can think of them as people) must journey forth to defeat it and the light creatures they've inadvertently summoned. That game never received a sequel, but while the freshly ported SXPD belongs to a different genre entirely, it comes with a similar flavor.